Storing fragile items such as electronics, breakables, and paper items can be challenging with things ending up broken and damaged beyond use. Understanding how to pack each type of item ensures that your valuables remain in condition until that time you will need to use them and decide to remove them from storage. While most people make use of the tough corrugated boxes, there are several other safe ways of storing fragile items, as outlined in this article. Among the best things you can do with regards to storing fragile items is to acquire high-quality, strong boxes – a heavy corrugated box or plastic will do. 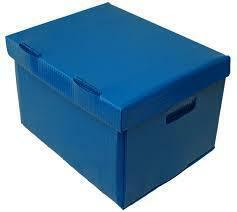 It is also imperative that you purchase them all of the same sizes to allow for uniform and uncluttered storage. With good boxes, you can protect what is inside, without the worry of them falling apart over time, with wear and tear. Whether packing glasses, dishes or a mirror, it essential that each item is wrapped in bubble wrap. This may sound like a daunting task, but you will be left with the assurance that your items are as safe as possible from getting damaged. It is also advisable to use a lot of packing material like crumpled paper or Styrofoam peanuts in the empty spaces in the storage boxes. This is to ensure that the items are not jostled around during movement. Last, ensure that your boxes are boldly marked “FRAGILE.” This way, you or anyone giving you a hand will be cautious while carrying the boxes. Even a small bump or drop can cause damage if one is not extremely careful. It is, therefore, recommended to mark everything clearly, so there’s no question about the contents of the boxes. Climate Controlled Storage Units are designed to keep items in a constant environment – 55°F to 85°F temperature range. While they are quite expensive, compared to other forms of storage like corrugated boxes, climate controlled storage is the best way to store items that need protection from extreme temperature shifts. When packing up your delicate items for storage, it is imperative that you apply the same precautions as you would if you were transporting or moving them, because in essence, that is precisely what you will be doing with the boxes – moving them. It is of great significance to secure your fragile items and ensure they remain in one piece while you are transporting or storing them. With these tips, your fragile items will remain safe.